Brian O'Donnell Quality Home Improvements is the only name that you need to know when it comes to your Barkhamsted roofing contractor services. to another. As the local leading service provider since 1978, we take great pride in the work that we do. Taking care of your roof is the most important service that there is because your roof protects the entire rest of your home. Not to mention, this is also what safeguards your belongings and the people living inside your home from the elements. Yet too many people take chances when it comes to their roofing. They ignore the need for annual roof inspections in Barkhamsted, CT, don't have it looked at after a severe storm, neglect minor repair needs and select just anyone to do the work. This is taking a big gamble with the condition of your rooftop. Even minor roof repairs can get worse quickly and threaten the structural integrity. Let us help make sure your roofing is in tip top shape and secure the longevity while enhancing the performance. We can address and expertly execute all of these services and more. We take care of your roofing as though we were working on our own, if not better. Brian firmly believes in nothing but the best for our customers, who also happen to be our friends, neighbors and fellow community members. Do you have mold in the attic? One of the roofing contractor services we take care of is ventilation. In fact, even if you do not have mold in the attic, it is important to get a ventilation assessment conducted. 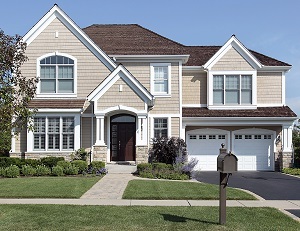 This will help unearth any issues in your home that may exist as a direct result of not having proper roof ventilation in Barkhamsted, CT. We will asses your unique situation and determine how to act in order to rectify the situation. The important thing is simply to act and get started. You will notice a world of difference once we implement a ventilation system customized for your home. Aside from abolishing the mold problem, you may even just notice you can breathe easier. Do away with the stuffy and stagnant air you have been putting up with for years. Let our roofers in Barkhamsted, CT help. At Brian O'Donnell Quality Home Improvements, we are also pleased to be able to provide you with the quality of skylight work that you need. While skylights often get a bad rap for problems like leaks, it all boils down to the quality of the products and the installation work. We use Velux and a 'No Leak Skylight' at that. The bottom line is that our name is synonymous with superior quality – something that we are quite proud of. Don't take chances when it comes to the level of quality that goes into your roofing in Barkhamsted, CT. We look forward to working with you and providing you with the service that you need. "Your team was great, thanks again. I will definitely recommend you and your team for anyone I know in the area that is thinking about any kind of roof-related work." "Brian is very honest, local, quality workmanship. Very Happy." If you are looking for a professional Barkhamsted roofing contractor then please call 860-658-2474 or complete our online request form.